Scores 24 Highway MPG and 17 City MPG! This Maserati Ghibli delivers a Twin Turbo Premium Unleaded V-6 3.0 L/182 engine powering this Automatic transmission. Wheels: 19" Poseidone Alloy, Valet Function, Trunk Rear Cargo Access. Trip Computer, Transmission: ZF 8-Speed Automatic -inc: manual mode, Transmission w/Driver Selectable Mode, Tires: 19" All Season, Tire Specific Low Tire Pressure Warning, Systems Monitor, Speed Sensitive Rain Detecting Variable Intermittent Wipers, Spare Tire Mobility Kit, Side Impact Beams, Seats w/Leather Back Material. 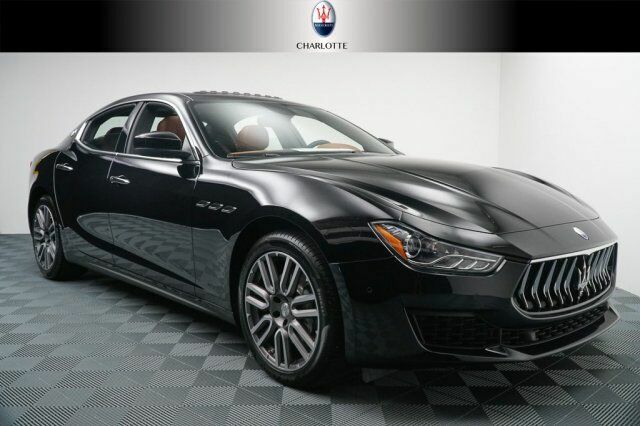 Come in for a quick visit at Foreign Cars Italia Charlotte, 416 Tyvola Rd, Charlotte, NC 28217 to claim your Maserati Ghibli!